You must be a member of the Munich Discovery Tours Group to attend this activity. Would you like to join this group? good weather conditions for the weeks to come! The weather this Saturday is a little bit cloudy ... maybe a little bit of snow... However conditions are still good enough for hiking. 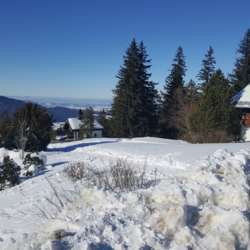 - We start from Bad Wiessee, Söllbach and our hike will take only 1,5 hous up to the "Auer-Alm" restaurant. Please consider this is a private event and anyone is responsible for himself. There is no limit of participants and spontaneous persons are welcome. As for this tour we will also need to take a bus after the train ride.